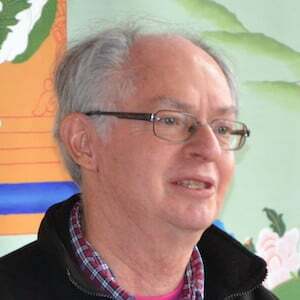 Roger R. Jackson is interested in Indian and Tibetan Buddhist philosophy, meditation, and ritual; Buddhist religious poetry; religion and society in Sri Lanka; the study of mysticism; and contemporary Buddhist thought. He is author of Is Enlightenment Possible? (1993) and Tantric Treasures (2004), co-author of The Wheel of Time: Kalachakra in Context (1985), editor of The Crystal Mirror of Philosophical Systems (2009), co-editor of Tibetan Literature: Studies in Genre (1996), Buddhist Theology (1999), and Mahamudra and the Bka’brgyud Tradition (2011), and has published many articles and reviews. He is a past editor of the Journal of the International Association of Buddhist Studies, and is currently co-editor of the Indian International Journal of Buddhist Studies. He is professor of Asian studies and religion at Carleton College in Minnesota. See photos of one of Rodger Jackson’s recent visits.